Vintage Anatomy Facial Muscles: This prints comes from a salvaged old anatomy text. The pages have been scanned in, cropped, and retouched to ensure the highest quality reproduction possible. 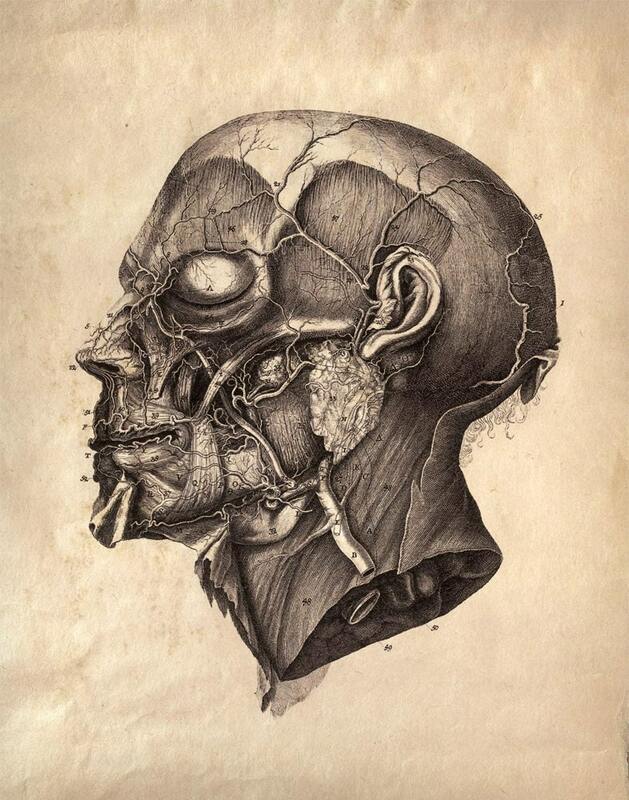 "Facial Muscles" is a vintage scientific illustration of the human face, profile view. The muscles of the face are exposed. This print is digitally printed on velvet fine art paper, 100% cotton fiber, acid free, 19mil. All prints available in 3 sizes: 8x10, 11x14, or 16x20. Prints ship in a sturdy non-bendable tube.